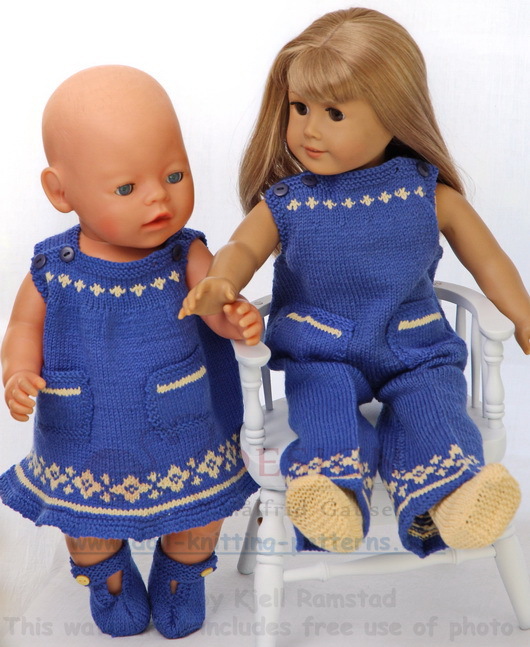 Some time ago, I knitted these clothes for my doll Klara. 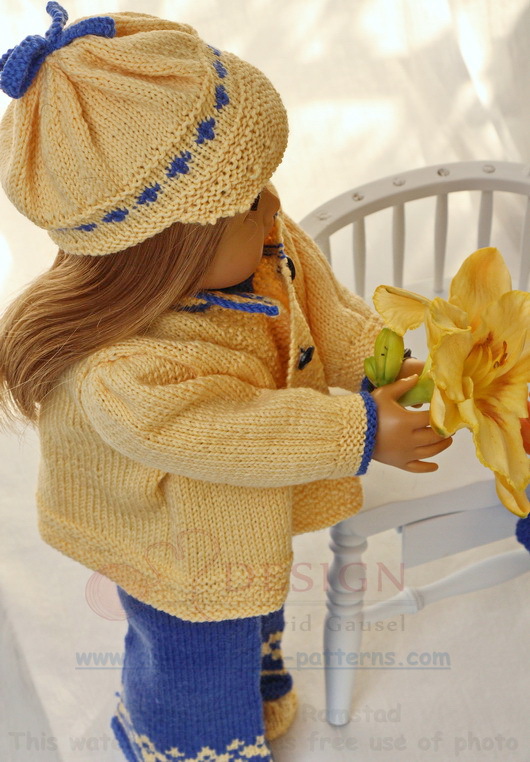 I had a lot of blue yarn here and together with this lovely, new yellow color from Lanett I was very satisfied with these clothes knitted in these colors. 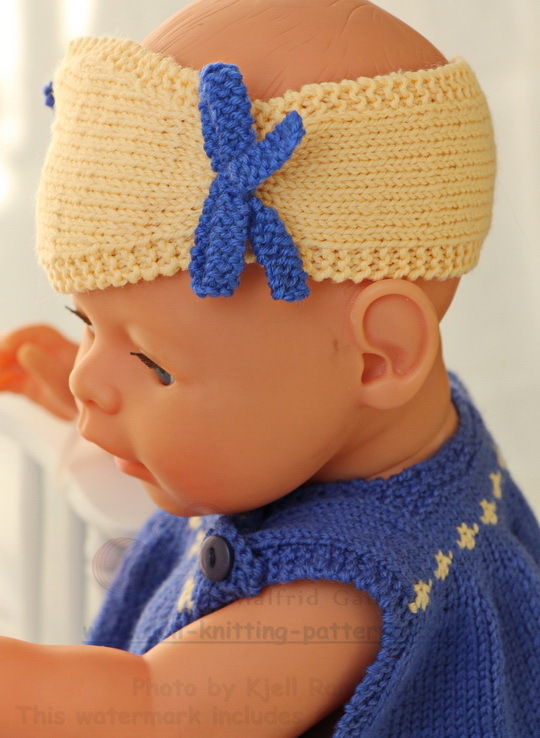 ...their mom be being there with her quiet and lovely behavior made this home very lovely. I often think of how lucky I have been being part of many lovely families. Being old thinking of this gives me a very good feeling and I appreciate it a lot. ... 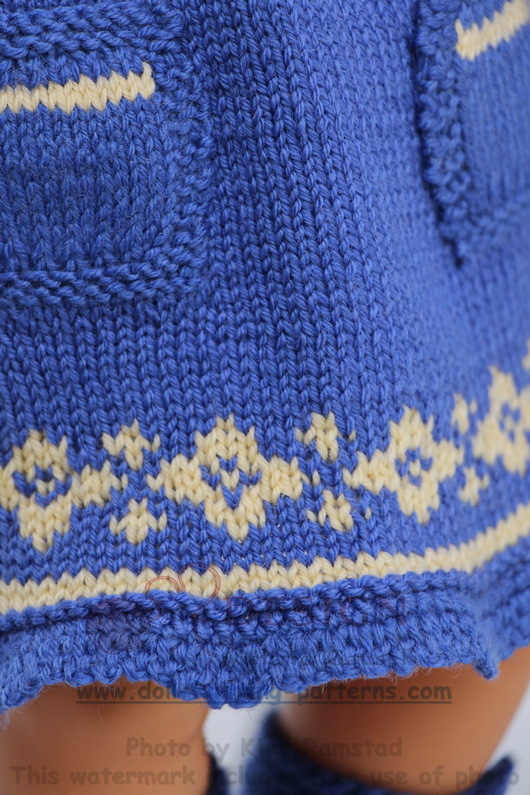 I have crocheted a little edge remaining of laces. 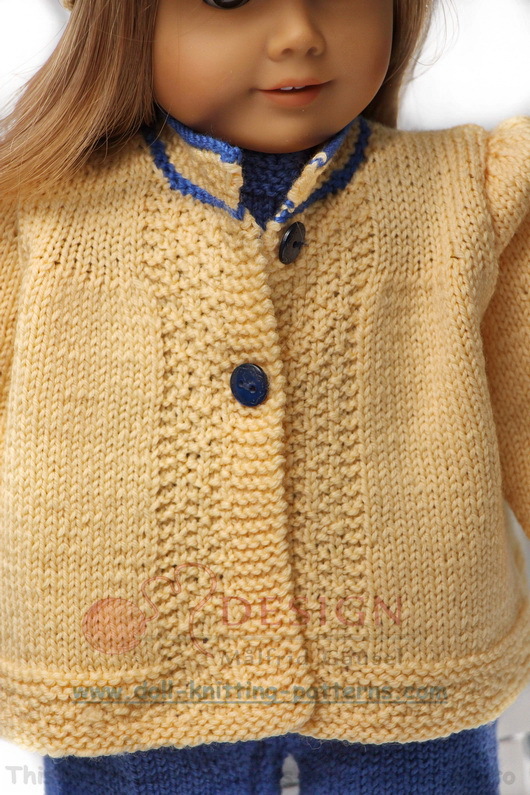 Both the dress and the suit are buttoned at the top with small buttons at each side. 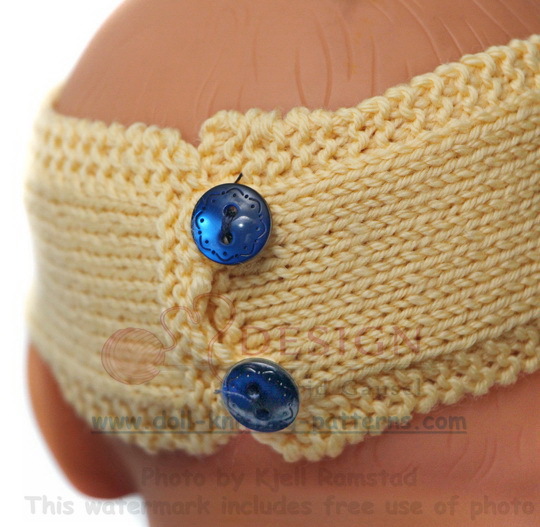 As belongings to the dress, I knitted a yellow hairband and sewed two bows in blue to it. 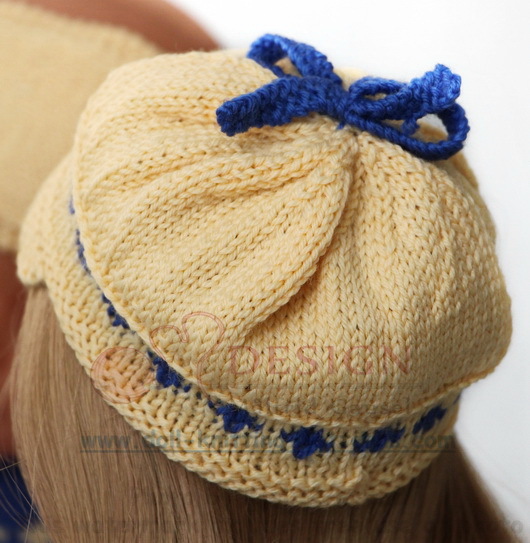 One bow at each side as pattern show. 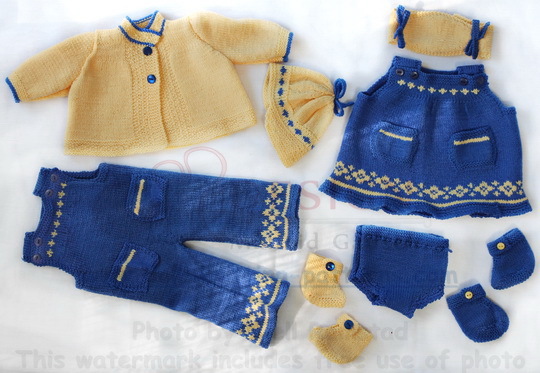 For the dress, I knitted yellow shoes. 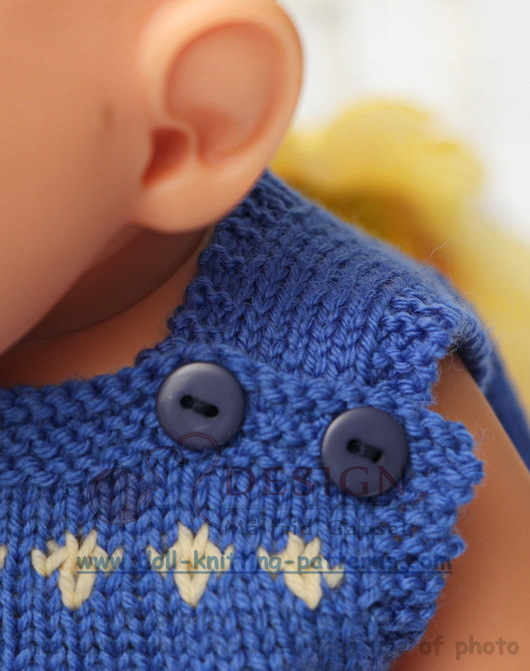 However, you can knit them in blue like the one I did for the suit if you like. 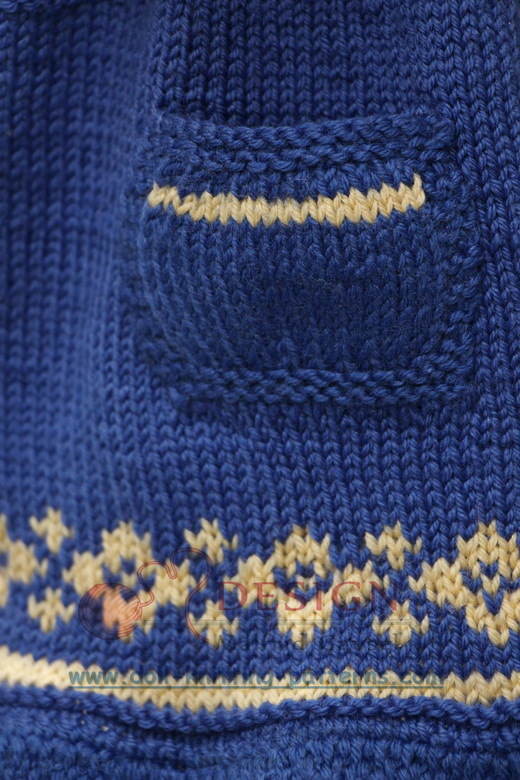 ... a little blue pattern here. 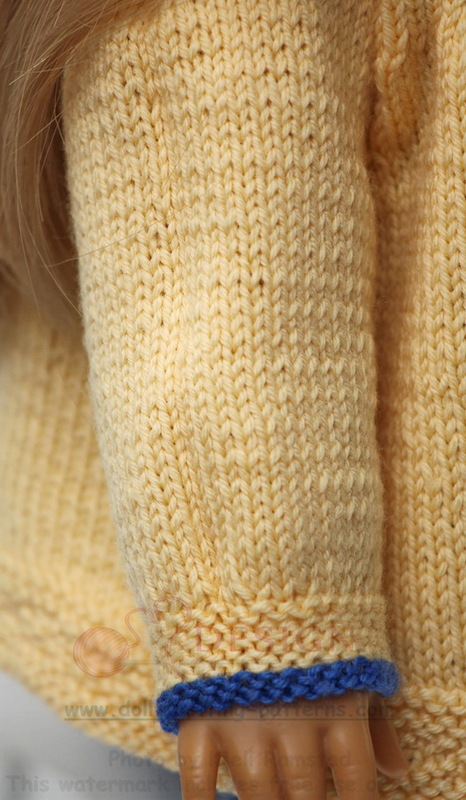 At last, I knitted a bit wide yellow jacket with a pattern knitted in the same color round the edge and inside the front band. 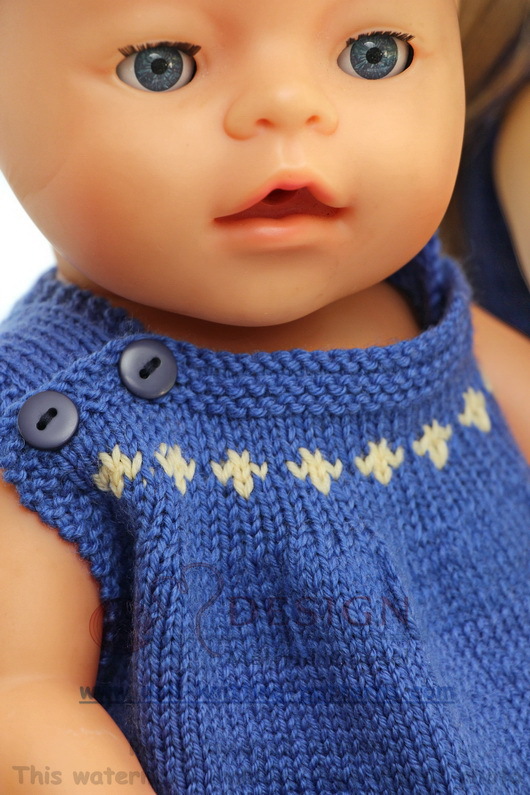 Round the neck and the arms, it has blue stripes. 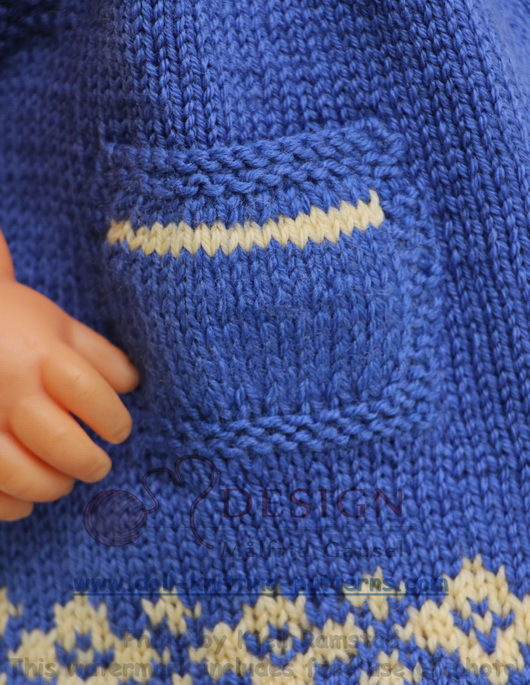 In addition, it is kept together with two blue buttons. 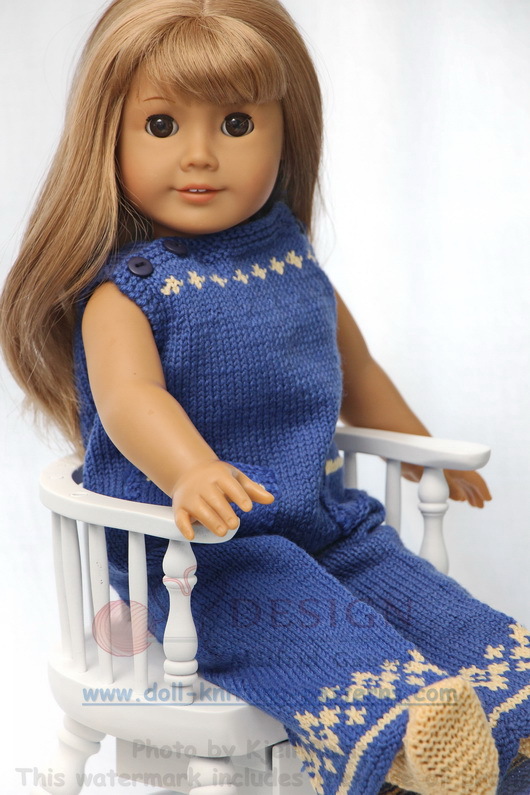 A well-dressed doll weather she is dressed in the dress or the suit, with or without the jacket, I think! 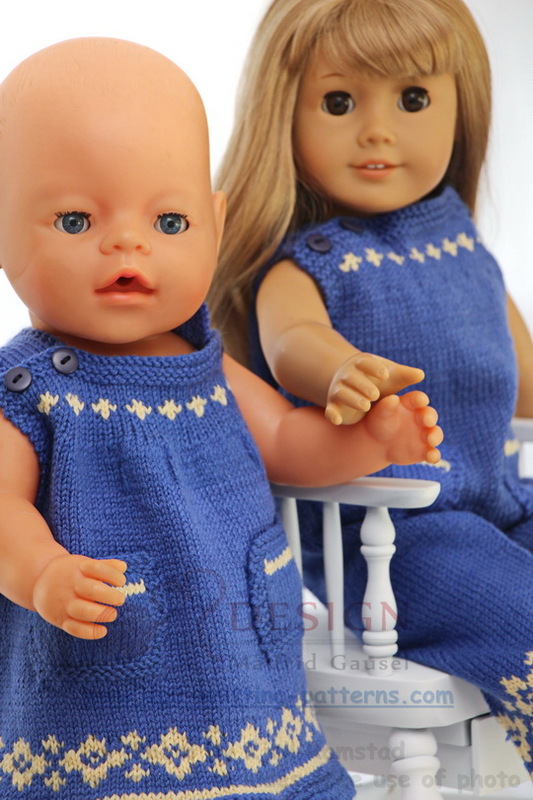 I hope you will like these clothes and want to knit them for your own doll!